Less than 200m left to go! It’s the summer which means it’s 5k and 10k season. In a bid to become faster, I’ve registered to race in a handful of 10ks alongside my weekly Parkruns. 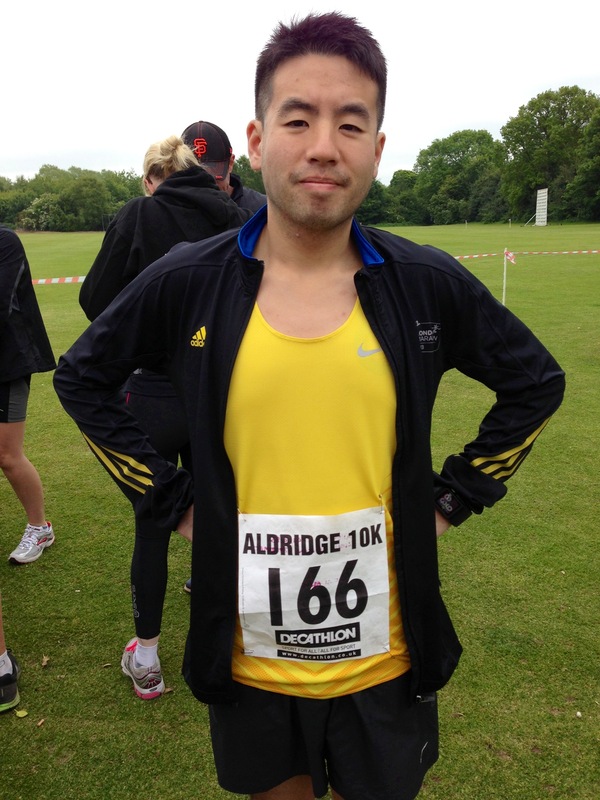 Today, I participated in the Aldridge 10k; a race that I would call “honest”. “Honest?” I hear you ask. Some race organisers have the tendency to over-sell their races, marketing them as flat or fast with a few hyperboles thrown in that would have made even Steve Jobs blush. Aldridge Running Club, the team behind today’s 10k, describe the course as “undulating” and “hilly”, with a “sting in the tail”. Runners entering know exactly what they’re getting and have no excuse to complain. Lis and I arrived in Aldridge at around 09:30 and I quickly collected my bib with built in timing chip. I noticed a few fellow Cannon Hill Parkrunners here and there; not surprising given the location and keen runners would either be at the 2 Castles 10k or in Aldridge. We watched the kids race start and due to some poor marshalling, the boy in first place went the wrong way on the course and lost maybe 10 places. On the return, he managed to catch up to be second place. I appreciate marshals volunteer for no reward, but they should ensure they do their job properly. I hear about so many race horror stories where herds of runners are sent down the wrong path, only to find this then disqualifies their result. Runners may have been building up to a particular performance for months, only to have it cruelly robbed due to sloppy marshalling. Rant over! I headed off for my warm-up run of a mile. My left calf muscle was still tight after yesterday’s Parkrun, despite foam rolling and stretching. As part of my pre-race prep, I did also pack a shot of concentrated beetroot juice but I forgot to drink it! 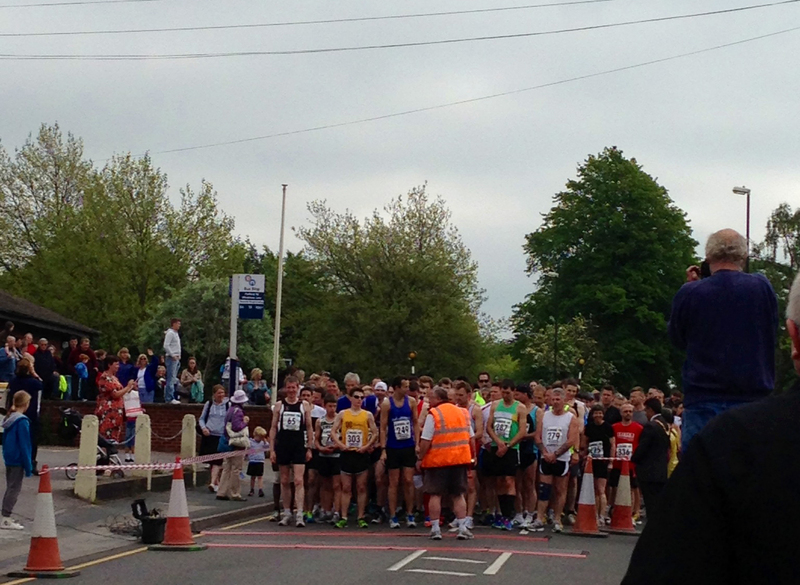 We watched the 4.3k (an odd distance) start and then everybody headed over to the start area for the 10k race. I placed myself close to the front-runners, maybe 6 rows back. I knew I was in the right place because speaking to other guys around me, they were aiming for times of 41 – 43 minutes, and so it was unlikely I’d be slowed down or slow others down. The local mayor started the race and we were off! 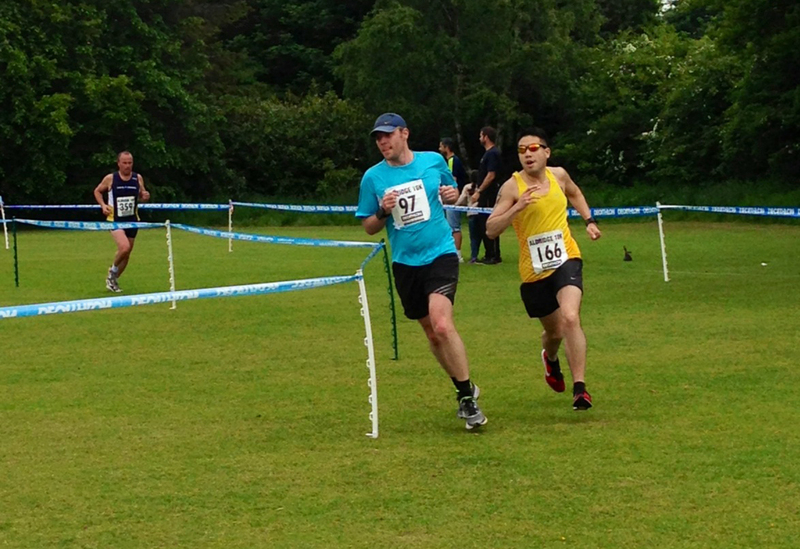 The course initially went downhill, causing a few runners to start off too quickly. I was conscious to run a negative split of no more than a minute, requiring a first 5k of 6:55 minute miles and a second 5k of 6:35 minute miles. I quickly settled into a good rhythm, despite the undulating course and stuck with a group of club runners to block some of the headwind. The opening kilometres were relatively easy and flew by quickly. We soon approached one of the first steep hills on the course and runners began to drop like flies around me. I noticed here that due to my small size, I had physically less weight to drive up the hill and tackled it at my desired pace. On the other side, heading down hill, the larger runners I’d managed to drop had caught up to me, using gravity and their weight to their advantage. I call this the Mario Kart effect, where some of the larger characters like Donkey Kong and Bowser were slow to start but had a higher top speed once in motion; this makes me more like Toad (the mushroom man) who has better acceleration, but a lower top speed once actually moving. Despite my plans to run a negative split, the hilly course had taken its toll and I struggled to pick up the pace in the second half. A steep downhill descent allowed me to cruise a little and flush some lactic acid from my legs before we arrived at the “sting in the tail”: one long, steady incline without any crowd support. The headwind returned and I tucked myself behind a Lichfield Running Club member for 5 minutes or so, running in his slipstream. Conscious that I didn’t want to outstay my welcome, I took an opportunity to overtake and dug deep to attack the hill. I ran solo for a few minutes and worked hard to catch up to the runners in front, eventually settling in with a small group. A Tipton Harrier runner had given up and had to walk; I gave a quick bit of encouragement, urging him to carry on and he tucked himself into my group to start running again. We finally levelled out on flat ground again and quickly turned a corner to see a sign reading “400m left to go”, which spurred us on to pick up the pace. Turning another corner, we arrived at the closing stage of the race with a sign reading “200m left to go”, and that we did! My group broke up and it was just one guy and me that started to sprint. He gained a few metres on me and received some crowd encouragement. I don’t like to lose and I had some fight left in my legs, so I kicked to chase him, taking a corner wide so that I would be on the inside lane at the next corner. 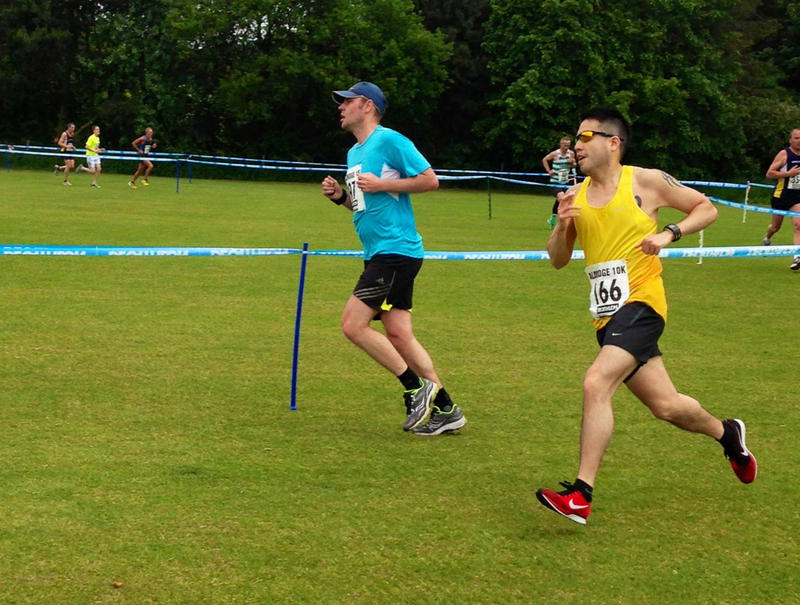 I overtook him but it was difficult due to the final 200m being run on grass. I caught up to the small group in front of me and overtook another two guys with one last kick down the home straight to finish 66th out of 338. 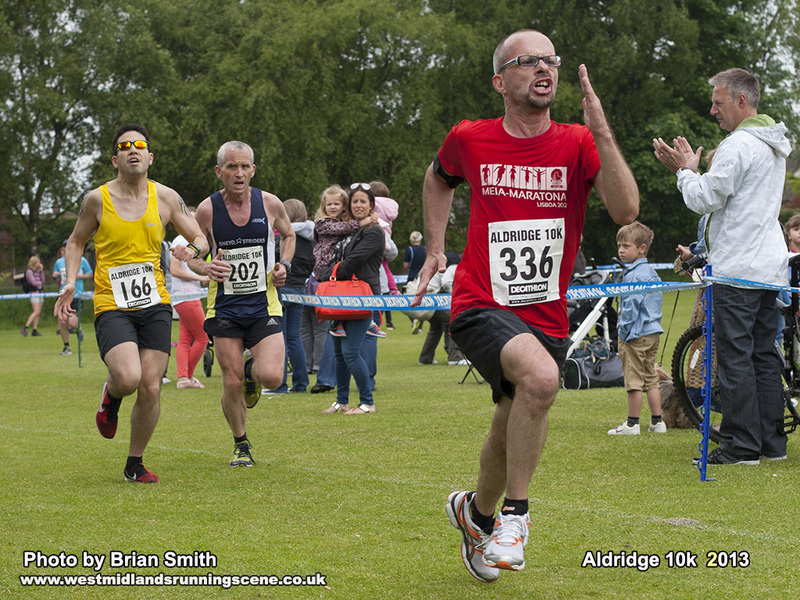 Check out the race face on the guy in red! I stopped my watch but had no idea what my time was. I had to drop to one knee to catch my breath and made my way to the finish area, where I met Lis and collected my goodie bag. 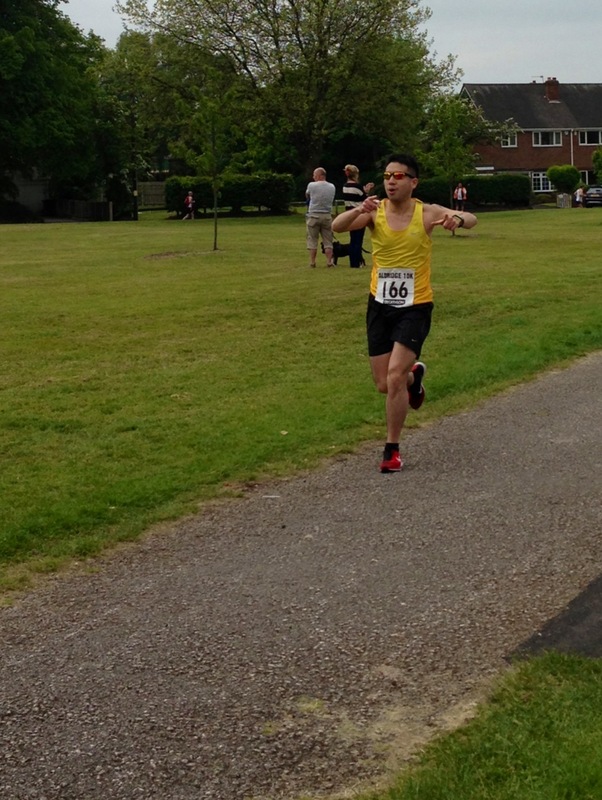 I had a chat with one of the volunteers from Parkrun that I’d spotted out on the course, mentioning that I shouldn’t have run so hard at yesterday’s event. For those interested, here’s the Nike+ run data. Be sure to check out the elevation of those hills! I remembered to check my watch and it was a PB performance of 42:52; a new record by 26 seconds. Had this have been a flatter course, I’m confident that I would have finished with a sub-42 minute time. The goodie bag was so-so; it contained a technical t-shirt (which I’ll probably never wear), a cereal bar and some flyers for other races. I’d have gladly sacrificed the t-shirt for a medal. 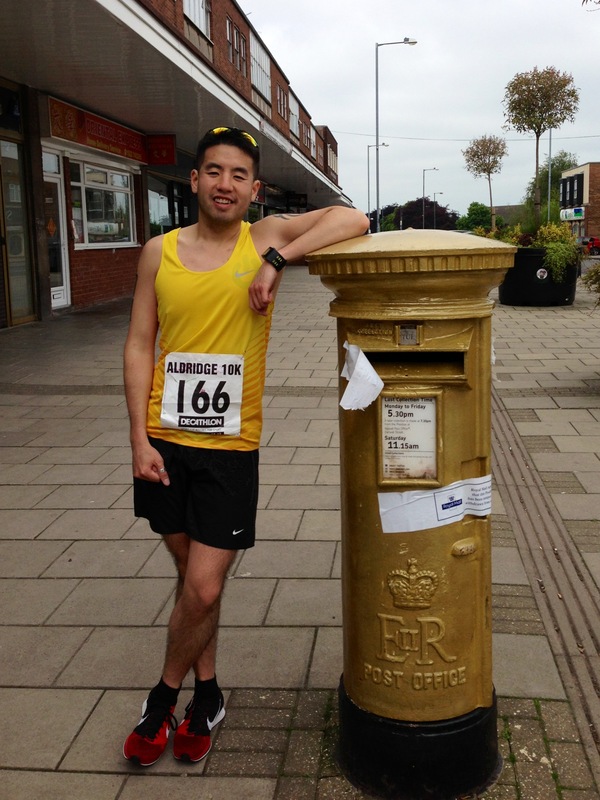 On the way back to the car, we spotted Ellie Simmonds’ gold post box. All in all, I had a good race. It was reasonably priced at £16 and came with chip timing and a goodie bag. Organisation for the main event was sound and it never felt crowded on the course, a complaint of some of the larger races out there. The course itself was challenging, even for the strongest of runners, exposing any weaknesses in an athlete’s repertoire of skills. I’m glad my ability to attack hills is still decent despite a lack of focussed incline training. I’ll probably do 2 Castles 10k next year for variety, but if the two take place on different days then I may just come back for more. 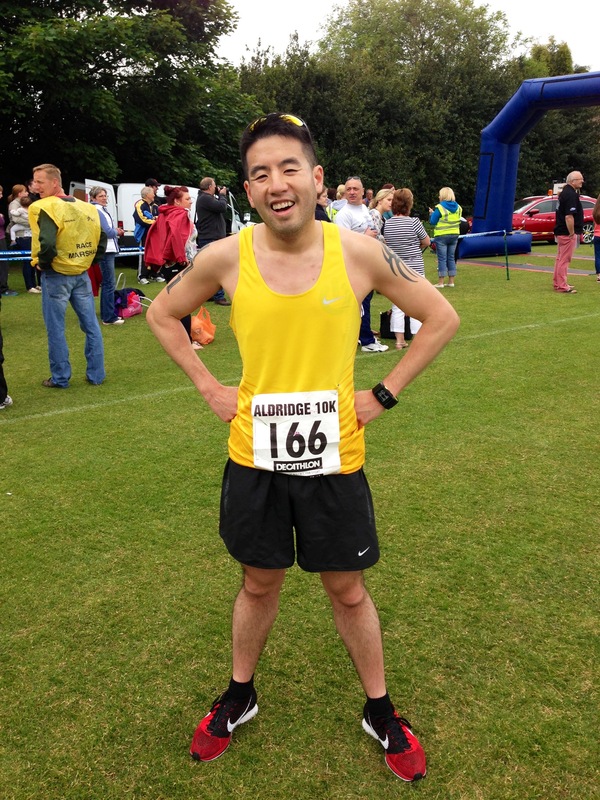 This entry was posted in Races and tagged 10k, Aldridge 10k, hills, Nike+, PB, race, review. Bookmark the permalink. 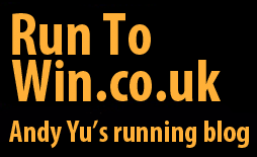 ← How does the runbritain rankings handicap rating work?